Yellow Door Diaries: What is YDD? is a place where a love of home meets inspiration and creativity. It is a result of my desire for a creative outlet. YDD is my way to remember projects – the good, bad, and the ugly – to share my ideas and results, and to connect to and learn from a community of others that have similar interests. 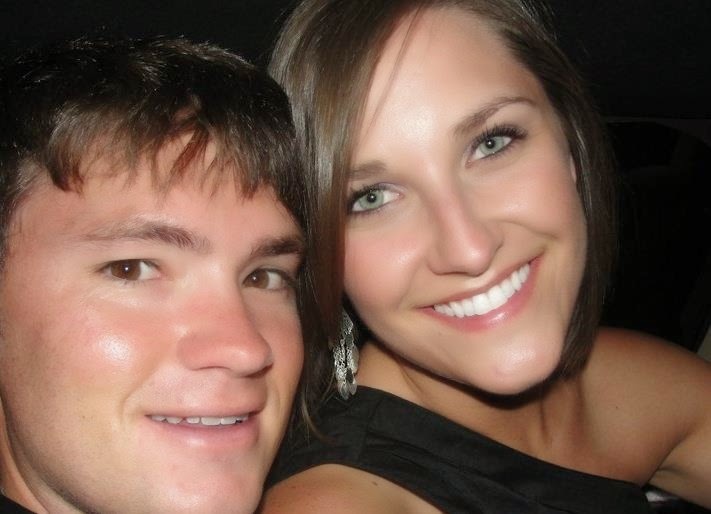 And you can get to know my husband, Spencer, too! At home, I know that I have the freedom to run with projects and ideas, with minimal worry about consequences. That’s not to say that large home renovations, expensive projects, or recipes with crazy ingredients gone awry wouldn’t be consequential – but the projects and recipes I typically take on are not costly. In fact, I probably wouldn’t have the support of my budget-conscious husband as much as I do now if I didn’t figure out a way to make an impact on a (small) budget. 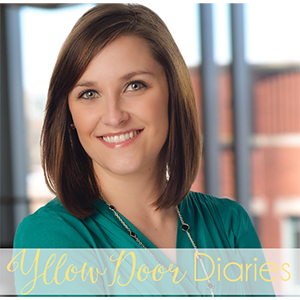 In fact, the name “Yellow Door Diaries” stems from a home project. My husband and I bought our first house in April of 2013. It is a cute, gray bungalow-style home with white trim, black shutters, and (at the time) a matching black door. After browsing around online and seeing some ideas, I found an inspiration picture that I could not stop thinking about. Not long after that, I went to pick up a can of paint in the exact brand and color of the picture I fell in love with. Shortly there after, our door became yellow! 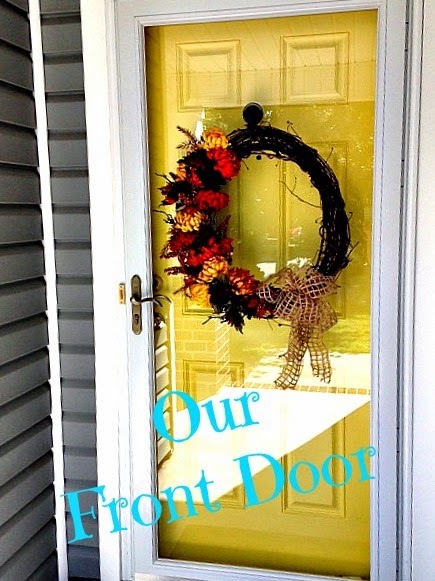 What a difference it made – I feel like my house smiles because of that door! I have done other projects around the house since then, but it remains my favorite change to date. After mentioning my idea to start a blog to my husband, he sweetly began to help me brainstorm names. As we were leaving one morning for work, he turned to me as he opened the door and said, “What about Yellow Door Diaries?” Obviously, it stuck. I adore my home. I love having a place to make our own; a place to keep tidy and organized; a place to try new recipes and to make messes in the kitchen; a place to get my hands in the dirt and plant (and likely kill) flowers. I want my home to be a place that family and friends can come and walk in without knocking, to get a drink without asking me first, to kick their shoes off, sit down and put their feet up. All of this encompasses what Yellow Door Diaries is – I hope you find it to be a place where you can come in, make yourself comfortable, and take part in the community through sharing ideas, comments and questions.